Proceeds from tomorrow's event at the Forth Road Bridge will go to The Lifeboat Fund. 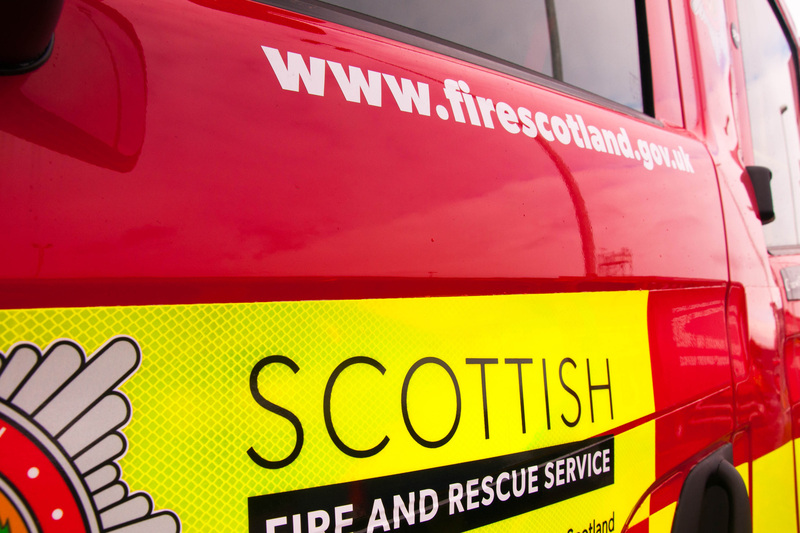 The Scottish Fire and Rescue Service is taking part in Transport Scotland and Amey's family day at the Forth Road Bridge tomorrow (Wednesday 19 October) from 11am to 4pm. Members of the public are invited to come along to the Contact and Education Centre in the Forth Road Bridge car park at South Queensferry, where a range of fun bridge building activities, stalls and competitions will be available. Vehicles from Transport Scotland, Amey and the emergency services (SFRS, Police Scotland and Scottish Ambulance Service) will be on display in the car park, together with a Ferrari F430 from Knockhill Racing Circuit with a competition prize of a racetrack driving experience. The family day is free to attend, however all proceeds from individual activities and competitions will go to The Lifeboat Fund. A limited number of guided tours of the Forth Road Bridge will be available – along the deck by minibus and into the anchorage chamber on the north shore. Tours will last approximately one hour and will run from 11am to 3pm, departing from and returning to the Forth Road Bridge car park in South Queensferry. To celebrate Transport Scotland and Amey’s Forth Bridges Family Day, Amey is raffling a trip for two to the top of one of the Forth Road Bridge’s main towers. The winner will be drawn on Wednesday 19 October and the Tower Top Trip will be arranged on a mutually convenient weekday after that date. Visitors to the tower top must be fit enough to climb a 12 metre vertical ladder, be at least 12 years of age and be accompanied by an adult if under 16.